We had been doing so well here in Alabama with the Fall-appropriate weather up until this week-now it's hitting 80 degrees every day again, so we're having to give ourselves the Fall-feels with Fall shades & textures. 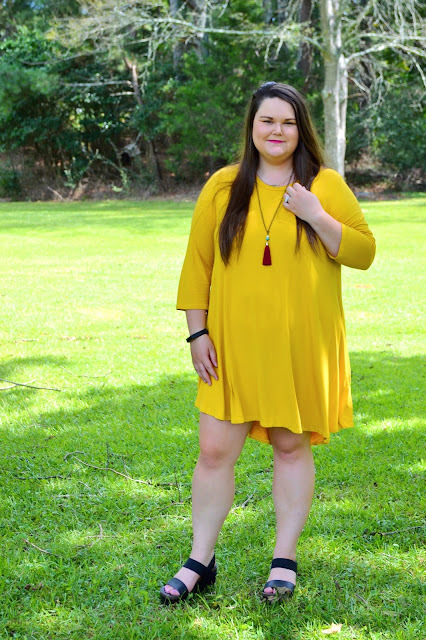 I love mustard for Fall as well as mixing browns & blacks (some probably think that's taboo, but I love it especially this time of year). This super rich shade of yellow makes me think of the ginkgo leaves that always start showering our lawn this time of year-my favorite! Also, don't mind my super white legs-I didn't have time to apply my favorite leg makeup! I love the details of this outfit so much, too! The necklace & clutch are two of my favorites. 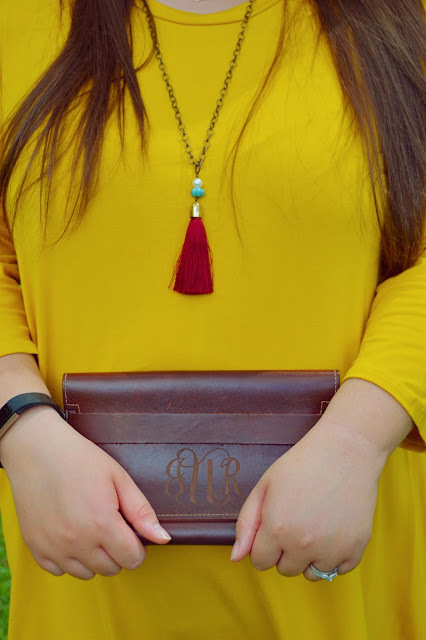 The clutch is from an Etsy shop the company is actually from Huntsville, Alabama...I love supporting small companies from my state. 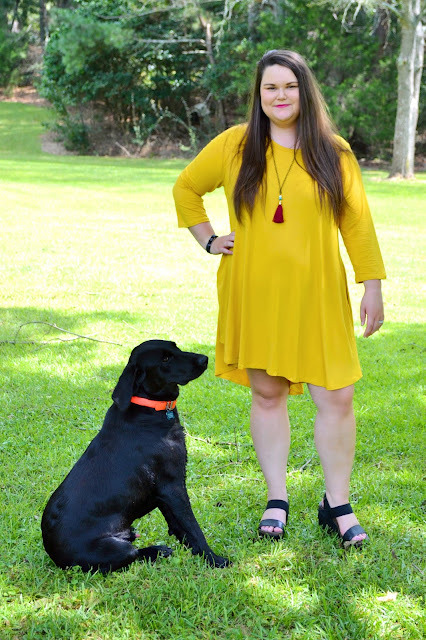 The necklace is a gift from my oldest sister & I love the mixture of textures and colors there, perfect for Fall. Y'all know I had to sneak Forrest in somewhere! He's usually poking around the outsides of every outfit shoot anyways, so I figured he deserved to have a small part in the post. Let me know what types of posts you like to see around Christmas time below! That is a really pretty color on you! I love this color for fall! I definitely couldn't pull it off as well as you can though - it looks so good on you! 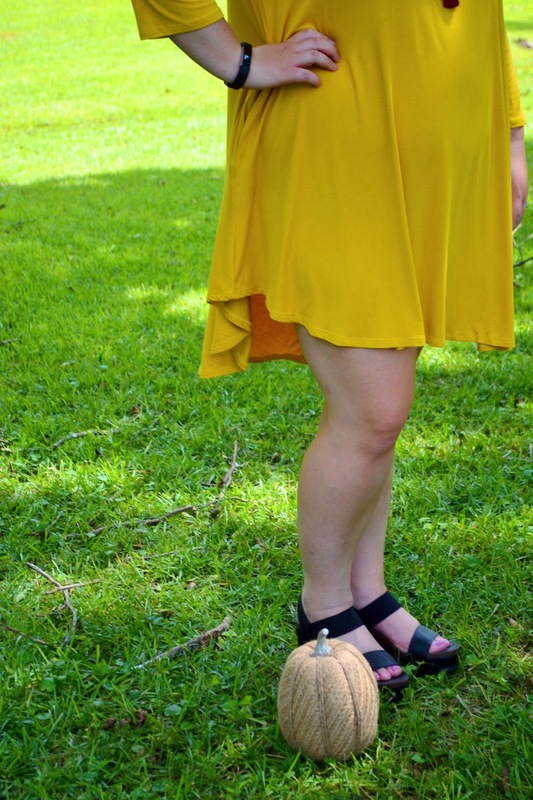 The dress is so cute and I love the idea of just grabbing something so easy to wear but looking put together. Beautiful Photos! Love the pop of red in your necklace to pull this whole look together. Super cute outfit! 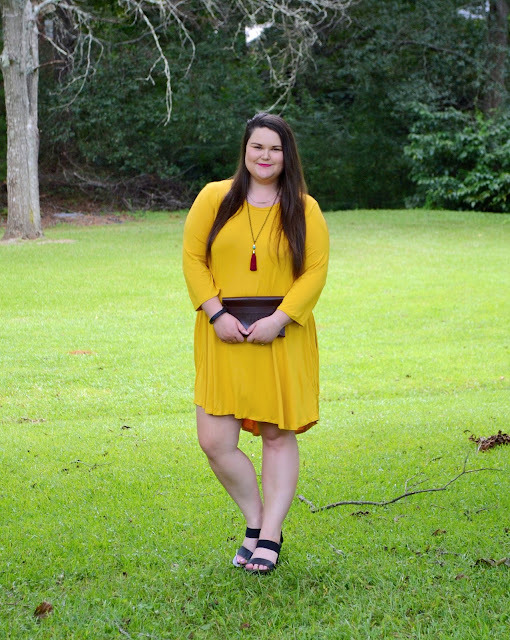 Mustard looks really pretty on you, and this outfit is stylish but easy for fall! This dress is amazing! It's such a perfect fall color. I live in Louisiana, so like your Alabama fall, we're still feeling some warm temperatures, and I love it! I definitely understand about this crazy weather haha! 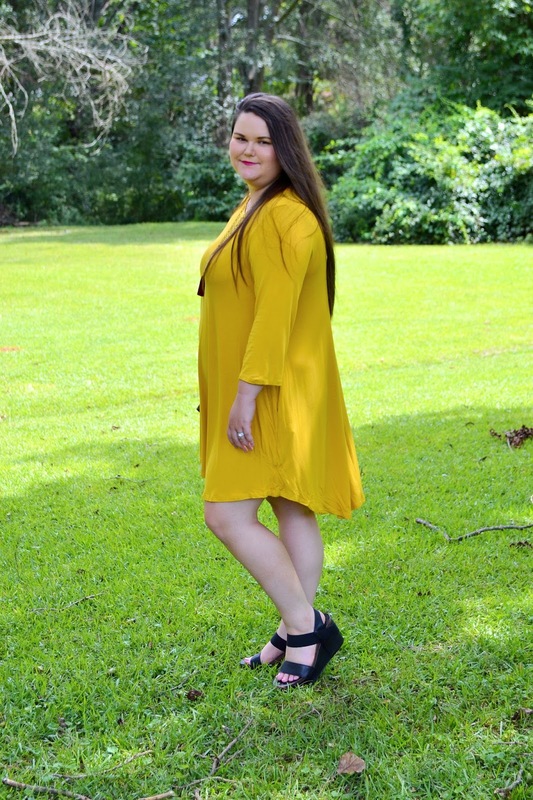 Swing dresses are definitely perfect for our Southern temps! I've lived in NC for most of my life and I still have a hard time getting use to the crazy weather. Love this dress btw, so cute! This is such a cute look! I love that color on you! This is so pretty! I LOVE this color this season, I'm seeing it everywhere and it's totally grown on me! So cute! I love the color of this dress - so vibrant yet very Fall! Also, your dog is so cute! I think mustard is such a fun fall color! 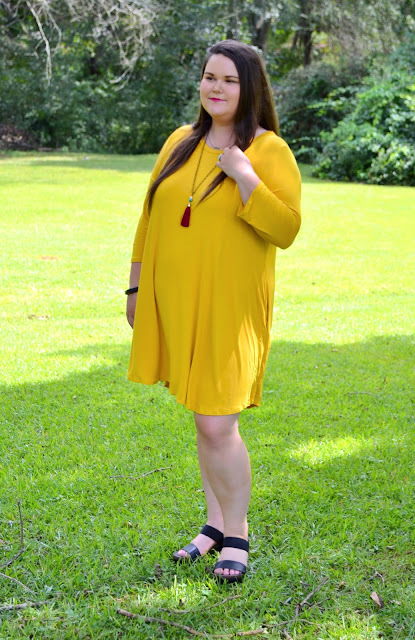 This dress and color looks great on you! Loving this color for Fall!